As the world celebrates International Women’s Day in the month of March, the Computer Society of Zimbabwe has dedicated March 2018 as the month of Women in ICT and their communities. 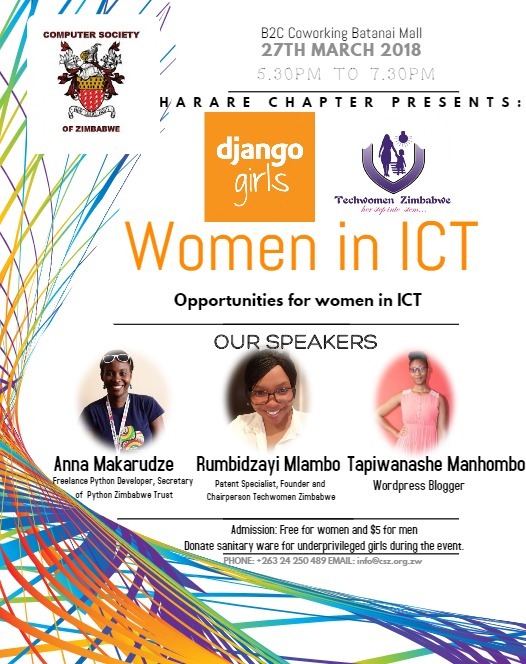 The Computer Society of Zimbabwe, Harare Chapter invites you to attend our event running with the theme Opportunities for women in ICT. NB: Admission free for women and $5 for men. Parking is free at City Centre Parking (Ximex Parking).